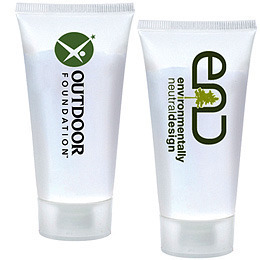 Promotional insect lotion containing Australian Tea Tree and Citronella essential oils. This custom printed insect lotion repels pesky insects as well as soothes itching and relieves the discomfort of insect bites and stings. Contains approx 50ml. Frosted tube with flip top cap.